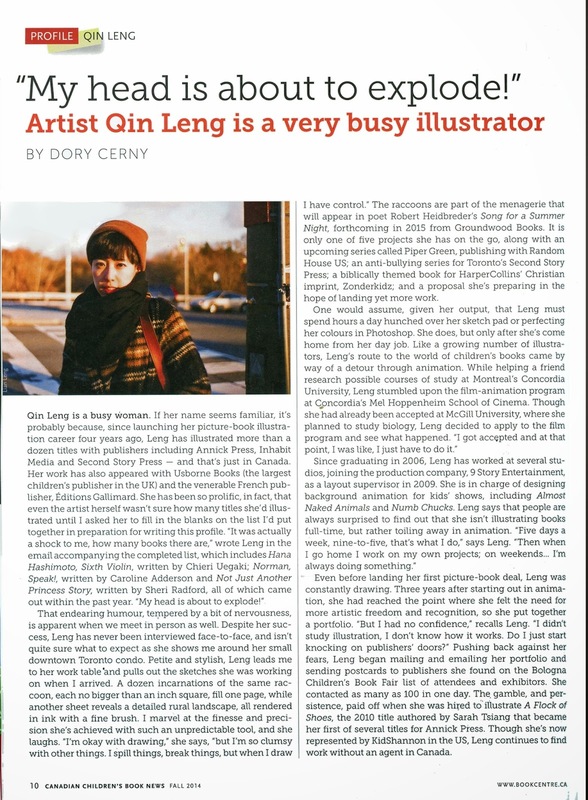 QinLeng: An article about me for the Canadian Children Book News! An article about me for the Canadian Children Book News! 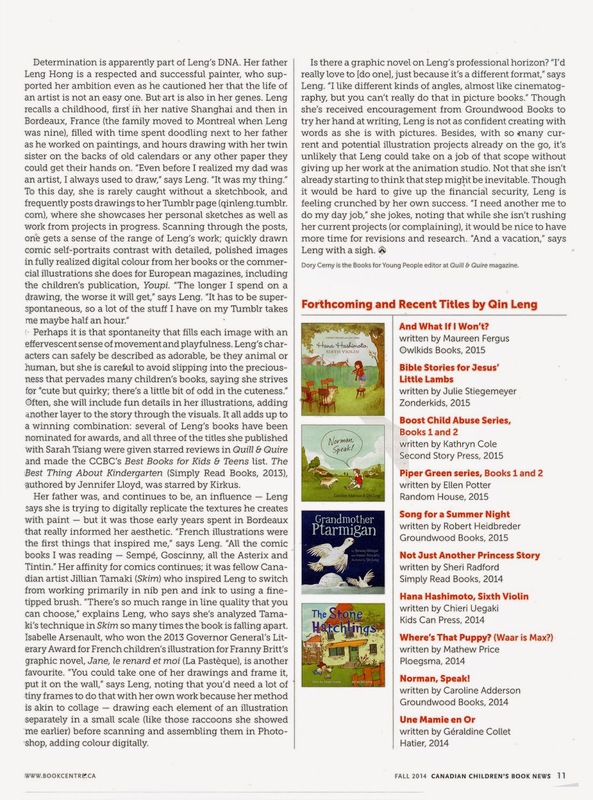 I am soooooo excited and honored to be featured in this fall's Canadian Children's Book News magazine! Dory Cerny did such a wonderful job with this article.